The Good Omen ‘The Good Omen’ creates Live Electronica that is rhythmic and clear, with distinctive melodies. Performance encompasses the feel of hardware: with a combination of Analogue monophonic synthesizers, digital multi-timbered sound modules, sequencers and FX units with real time control. Strange emanations, improvisations and multi-layered sequences mean that no two performances are the same. The Good Omen has recently completed the sound track for a Movie called Sawamika (Having an Owner). Other projects include the ‘Journey of Hope’ Tsunami Benefit Concert where he composed new pieces for the Ballet and Re-Sound verses Clan Analogue. 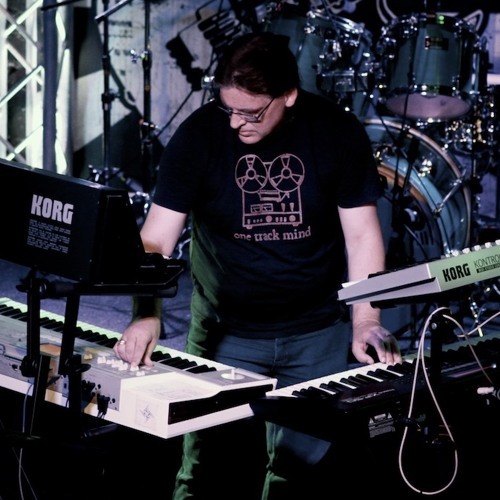 Influences come from diverse background such: Jean M Jarre, Kraftwerk, Tangerine Dream, Kitaro, Klaus Schultze and also Asian (particularly Sri Lankan) musical styles.